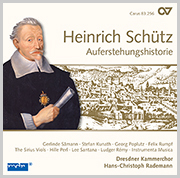 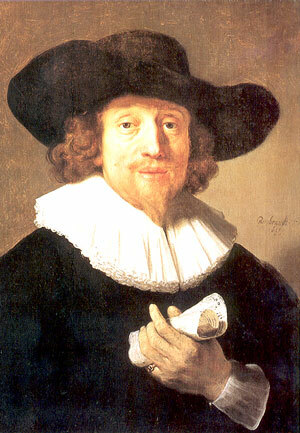 Heinrich Schütz is regarded as the first German musician of European stature. 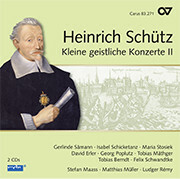 As a choirboy from 1599 at the court of Landgrave Moritz of Hessen-Kassel, he received a thorough education. 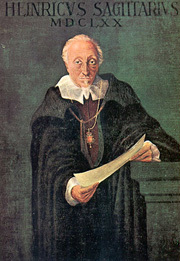 In 1608 he began a law degree in Marburg, but broke this off in 1609 in order, with the support of the Landgrave, to study composition with Giovanni Gabrieli, organist at St Mark’s in Venice. 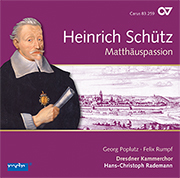 In 1613 Schütz returned to Kassel, but two years later was enticed away by Elector Johann Georg I of Saxony to the Dresden court as “Organist und Director der Musica”, where he held the position of Hofkapellmeister (court Kapellmeister) from 1617 until his death. 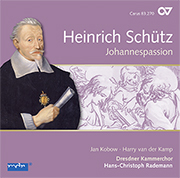 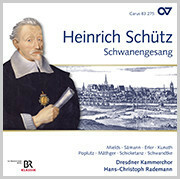 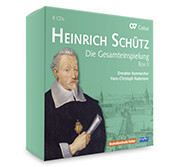 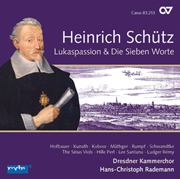 Schütz’s great cycles of vocal works marked the high point of his reputation in Germany and northern Europe. 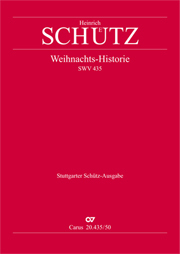 But these represent only part of Schütz’s output; individual works are represented in printed collections with works by other composers, others only survive in manuscript, and much has been lost. 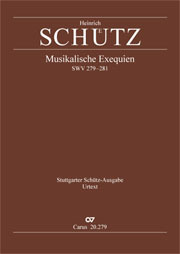 The Stuttgart Schütz Edition makes available Schütz’s complete oeuvre, and all works are also published in practical Urtext editions.